Ever wonder why your lights seem to dim when you plug in the vacuum cleaner or blow dryer? 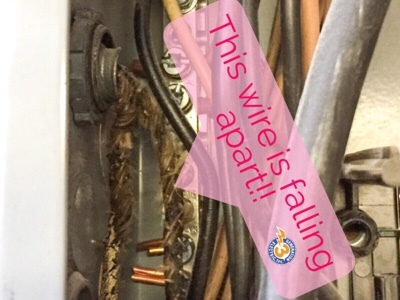 This is a common occurrence for homeowners all across the country - especially those with older electrical systems in their homes. Not only can dimming lights be a nuisance, it could signify that you have some serious electrical problems going on. The first, and probably the most common reason why lights dim when you plug in another appliance or electrical device is that the circuit is overloaded. It could mean the circuit is old and outdated and that it’s time to upgrade the system. 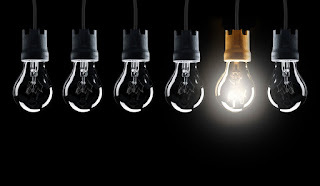 Poor wiring could be another reason your experience dimming or flickering lights. Old wiring may not be able to provide your devices with enough power to run properly. 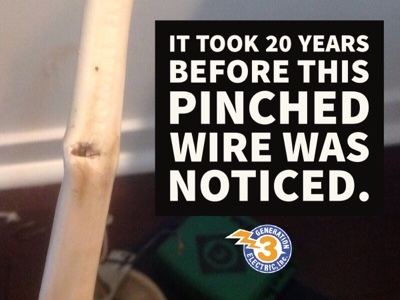 Additionally, loose or corroded wires could be causing the problem. But it may not be your home’s electrical system’s fault at all. 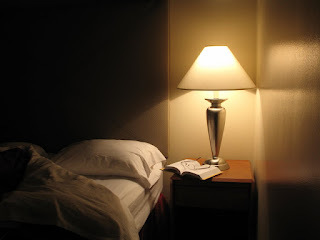 Dimming lights could be a result of a problem with the power grid. Blown transformers or an interrupted service feed are both common when bad weather makes its way into town. Whatever the case may be, dimming or flickering lights is not a situation you should taken lightly. Contact an electrician right away to come over and inspect your home and get the electrical system back where it needs to be. 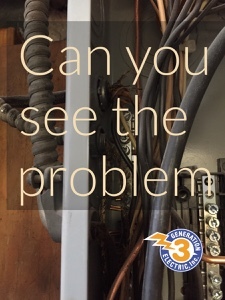 Give the expert electricians at GEN3 Electric a call today at 215-512-4102 to schedule an appointment and don’t forget to connect with us on Facebook! When it comes to your outdoor lighting fixtures, as long they turn on when you flip the switch you don’t have to worry about them, right? Wrong. While they’re great for setting the mood and adding extra visibility to your yard, if you don’t maintain them once in awhile they could soon turn into your worst nightmare. Be careful what you clean with. Lots of commercial cleaners contain harmful chemicals that can eat away at the finish on the fixture. All you need is some warm water and dish detergent to get rid of dirt and grime. Even though they’re meant for the outdoors, they can rust as a result of moisture. To get rid of it, mix a bit of water and white vinegar and rub with a soft cloth. 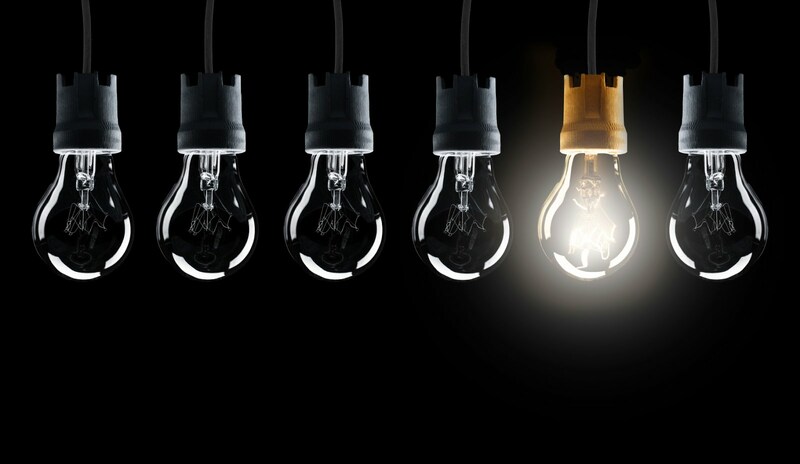 Choosing the right bulb is key. LEDs are less likely to attract insects and tend to last longer than incandescents. Keep fixtures off the grass. Your landscapers will surely thank you especially when it comes to mowing the lawn. Place them in flower beds or attach them to the deck instead. 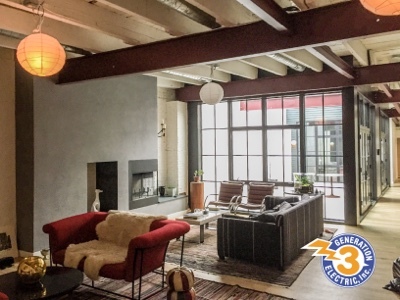 GEN3 Electric has been servicing the electrical needs of the Philadelphia metro area for three generations so you know you can count on us! 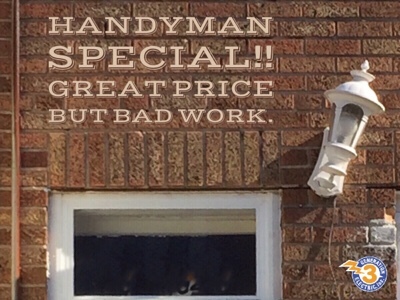 We’d love to help with your exterior lighting project so give us a call today at 215-512-4102. This equipment failed. The company that installed it long gone. When you work with GEN3 you can rest assured that we will be here to stand by our work years down the road. We want to be your electricians for life. Picture this: you’re driving down your street at night and you notice a home on the block that looks magnificent. It’s well lit and stands out from the rest. Then you realize it’s your own house and it looks great because you put some time into developing an outdoor lighting plan. 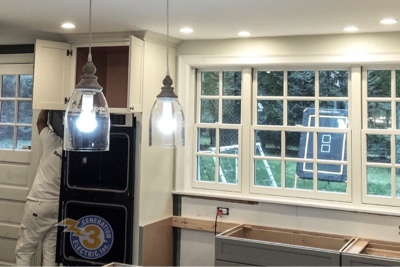 When it comes to illuminating your home after the sun goes down, it’s vital to take some time to map out what you want to light up and where to put different types of fixtures. Sure, you can just throw a couple of exterior fixtures in random places around your yard, but what purpose will that serve? Do you want to put the focus on a few beautiful trees you have on your property? Well, bullet, flood and downlights tend to work the best for this application. If you want to light up the branches and leaves, locate the fixture at the base of the tree. Want to light up the trunk and the lawn around it? Locate the lights as high up in the tree as possible. 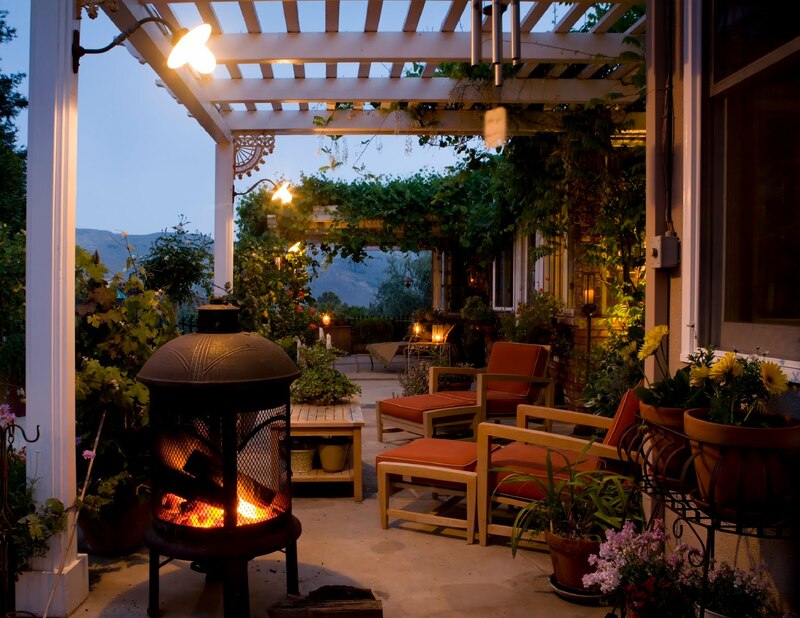 Want to light up the garden you put so much time into? Place fixtures throughout but keep them no more than 20 feet apart from each other. Like to spend time on the deck or patio with friends and family members at night? We recommend LED lighting around the perimeter. Need some lighting down either side of the driveway or walkway? Doing so will provide safety and security for you and your guests upon arrival after dark. 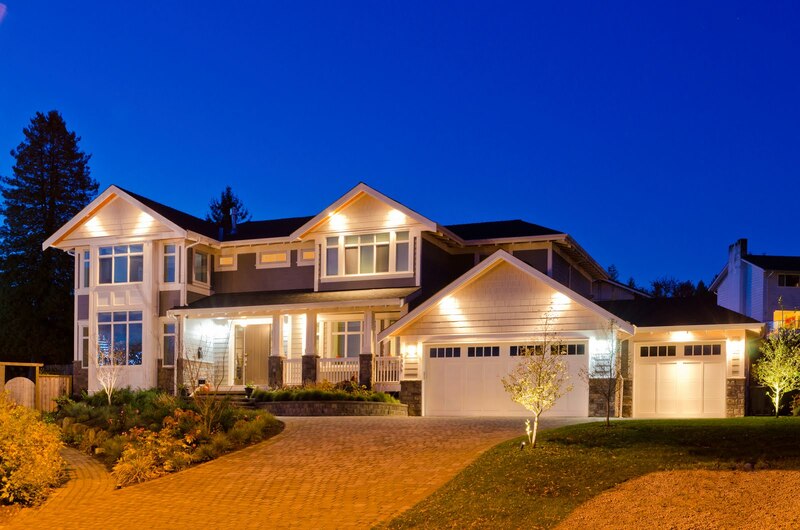 It’s always a good idea to consult with an expert when developing an outdoor lighting plan. That’s where we come in! Feel free to give the professional electricians at GEN3 Electric a call today - we’d be more than happy to speak with you! "9-11 Queen Village. TV mount hung by painters sparked and shorted a tv. Put up another TV and it's getting sparks too. She had someone else check to make sure mount hardware wasn't hitting a live wire - they said it's not but she's still seeing sparks. Wants to make sure mount isn't hitting live wire, see if maybe there's a power surge? etc. Message: Issue with electric conducting through a wall mount TV"
This what we found. A staple finally worked is way through the outer plastics jacket of the wire. This happens when a staple is installed too tight. As the plasticizer in the wire dry out the staple eventually breaks through. This type of problem is called arching. Standard circuit breakers will not trip when wire arch. This can cause house fires. 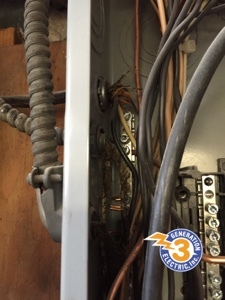 Modern AFCI breakers are designed to solve this type of fire hazard. 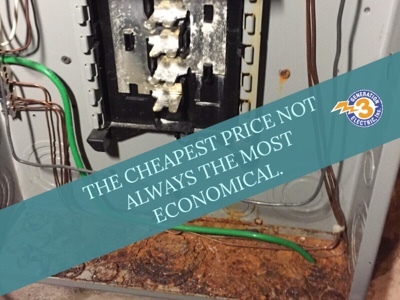 Hiring an electrician is much less expensive then doing the job incorrectly. This is clearly work done by someone who is not a professional electrian. What is difficult to see in this photo is the exposed wire running to the light form the original fixture location. Not only is this light crooked it is an electrical hazard. 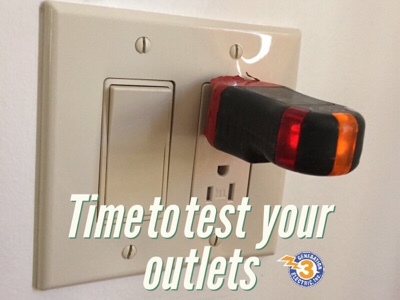 We recommend testing you outlets yearly. Catching small problems will keep you and your family for having safety problems. Loft living requires extra care when running and hiding the wires. The are no spaces to hide the wiring so the wire paths needs to be well planned out to create this beautiful room. 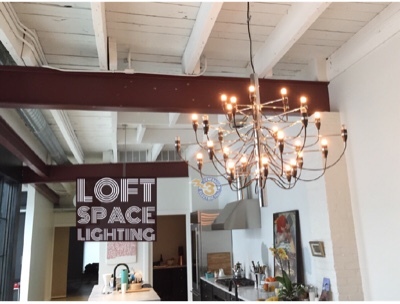 Lighting up a warehouse space to make a modern nee living loft space. Looks amazing.